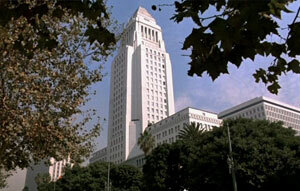 The Planning Report: Hamid Behdad, LA.’s Champion of Adaptive Reuse, Depart City Hall. Legislative bodies can pass laws with noble intent, but even the best laws are often useless if they are not implemented properly and vigorously. In 1999 the city of Los Angeles passed its landmark Adaptive Reuse Ordinance ( ARO ), designed to promote the restoration and reuse of vintage buildings. But lofts do not build themselves, and for the past six years Hamid Behdad has overseen the city’s effort to encourage developers to revive the city’s vintage buildings. In the first part of a two-part interview on the occasion of his departure from City Hall, TPR was pleased to speak with Mr. Behdad about the first six years of the ARO. The 1999 Adaptive Reuse Ordinance is often hailed as one of the most visionarv ordinances in the history of L.A. planning. After seven years, how successful has it been in creating housing and preserving buildings? We have about 4,300 units completed, 4,200 under construction, and 3,200 in the pipeline. If any ordinance in the history of L.A.could speak for itself, this is the one. I think it is a tremendous success. Not only has the ordinance dramatically impacted Downtown L.A., but many other cities are copying what we have done; Oakland, Long Beach, and Glendale have shown some interest. The media exposure that we have received in the last seven years has been incredible. To what areas of the city, other than Downtown, has the Adaptive Reuse Ordinance been applied? We expanded the program into Chinatown, Lincoln Heights, Mid- Wilshire, and South L.A. Then, of course, it became so successful that every council member wanted it in their district, so we expanded it throughout the city. Now you can do anything from LAX all the way to Downtown, from the San Fernando Valley to San Pedro: if you have an eligible building, you can convert it into lofts. The city of L.A. should be proud of its support for this program. What provisions of the Adaptive Reuse Ordinance helped most to stimulate the development of 4,300 housing units? The main component was that, for a change, the Adaptive Reuse Ordinance gave developers the assurance that if they purchased a property, held a property, or initiated a project, it would get done without getting bogged down in the bureaucratic system of the city during the entitlement process. lf I could name one single component or element caused most of the success, it would be the “by right” characteristic of the ARO. “By right” meaning that if you have an eligible building for adaptive reuse, there is almost nothing to prevent you from going forward. However, that being said, in my opinion. the stars were aligned. When we passed the Adaptive Reuse Ordinance in 1999, we were ready without even fully knowing it-for a revival of the market. We had the housing shortage, the interest rate was extremely low, and the desire for people-which was. in my opinion, very important-to start a new trend called the urban lifestyle was generating quickly. All of these things led to a successful program. Planners note that adaptive reuse in L.A. is not just an ordinance but, rather, a whole program, and you’ve been its chief advocate in L.A. What does it mean to be a whole program and not just an ordinance? I like to take a little bit of credit for making adaptive reuse a program rather than just maintaining it as an ordinance. The ARO could have been another piece of local legislation that sat on a shelf in the city system collecting dust, as many other ordinances are doing as we speak. When I was fortunate enough to be given the mission to go forward with adaptive reuse in the Riordan administration, I didn’t even know its complete potential. I had been a so-called “Mr. San Fernando Valley” because I did all my work in the San Fernando Valley. But in 1999 when I started the first adaptive reuse program, all of a sudden I shifted to become the “Downtown Guy.” Going back and forth and driving between the three freeways and L.A. River, I noticed a tremendous number of buildings collecting dust and graffiti, which could all be part of this movement. When I approached my superior at the beginning of the Hahn administration and told him that there was such a thing as the Adaptive Reuse Ordinance, which was started with Riordan and Tom Gilmore in 1999. I knew this thing had a tremendous amount of potential. I don’t know if they believed me or not. but they said, “OK, if you think so, go fbr it.” I started putting together a team, which would later on be called the Adaptive Reuse Team, which consisted of (and still consists of people in the Fire Department, including fire protection engineers, inspectors, and captains, and Building and safety- plan checkers and case managers-as well as the Planning Department, CRA, DOT, and Public Works, which we use on a as-needed basis. By saying that I meant that we had to go after the media to promote these projects as we went forward and built. Then we established regular meetings with the city agencies to make sure that we held everybody’s hand in this whole group of adaptive reused developers in order to get their building permits and inspections and everything delivered on time. So, we pretty much showed them how to do it, and we maintained a business-friendly level, which we needed for these projects to take off. Later on we started doing an annual tour because we thought that if we had a product we would have to sell it. Otherwise no one was going to go forward with it. We just kept going with all these little components, and we turned it into a program. the Los Angeles Building Code, to incorporate a new chapter called Chapter 85, which accommodated the fire/life safety provisions of these projects. believe it or not it took three years. But it was approved and took effect in July of 2005, right after Jim Hahn left office, meaning he signed the ordinance but the effective date was after he left, six days into Mayor Villaraigosa’s administration. Of what projects are you most proud? Whenever someone asks how I feel, I think it’s like having 11,000 children. Every one of them has a memory for me. That means that we had to comply with the high-rise building requirements which is impossible because the building is 100 years old and there is no way I can do it. We had to go the extra mile to convince the Fire Department and the Building Department and everybody else to put in a swimming pool that is only a few inches above 75 feet. Another example, the Pegasus Building (one of the first adaptive reuse projects I did and still the largest single adaptive reuse project with 322 units) has a little gymnasium-about 1,200 square feet. Believe it or not, I lost a lot of brain cells to get that 1,200 foot, state of the art gym structure there because the code of the city says that if you add one square foot of new construction on these buildings, it’s going to trigger regulations as if this building was constructed brand new, and then you have to comply with the requirements for a brand new building. I said, “This is crazy. The building is 550,000 square feet, and l’m putting 1,200 square feet of a light gauge structure which I’m taking from the square footage from the other parts of the building, and you are going to tell me to make the entire building comply with today’s code?” That would mean trash the project and go home. We finally got that approved. I had to talk to Bob Janovici (Planning Department’s Chief Zoning Administrator at the time) and get a zoning administrator interpretation (ZAI) in order to make that happen.